“The Journey” (2016 production, 2017 release). Cast: Timothy Spall, Colm Meaney, Freddie Highmore, John Hurt, Toby Stephens, Catherine McCormack, Ian Beattie, Barry Ward, Mark Lambert. Director: Nick Hamm. Screenplay: Colin Bateman. Web site. Trailer. For 40 years, Northern Ireland was caught up in a gruesome conflict known as “The Troubles” between those seeking to preserve its affiliation with the United Kingdom and those looking to unify it as part of the Republic of Ireland. Though framed largely as a religious war between Protestants and Catholics, the ongoing battle was essentially political in nature, pitting Unionists loyal to the British crown against the separatist Irish Republican Army. The embittered enemies had tremendous hatred for one another, with vitriolic rhetoric and terrorist activity underscoring their mutual animosity. However, after decades of carnage, the parties sought to make peace in 2006. Through negotiations conducted at St. Andrews, Scotland, Unionist leader Rev. 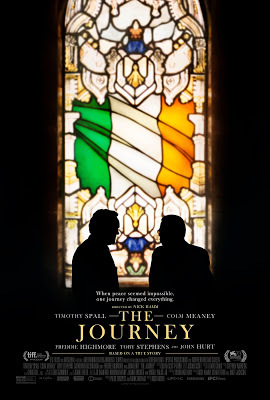 Dr. Ian Paisley (Timothy Spall) and IRA political leader Martin McGuinness (Colm Meaney) came together to reach an accord. That was a tall order, though, given that the two men had never met nor spoken before. Could peace be achieved? Or would Northern Ireland be plunged back into civil war? Nervous onlookers, such as British Prime Minister Tony Blair (Toby Stephens) and Irish Taoiseach Bertie Ahern (Mark Lambert), had their fingers tightly clasped and were willing to do whatever they could to help facilitate the process. Before the process even began, however, a potential glitch arose that threatened to derail the entire process. The start of the talks coincided with Paisley’s 50th wedding anniversary celebration in Belfast, Northern Ireland. He planned to attend by flying to Belfast from Glasgow, Scotland, but bad weather led to a closing of the airport. To accommodate his needs, UK officials arranged for an alternate flight from Edinburgh, Scotland, but this new proposal required approval from both Paisley and McGuinness to make it happen. Paisley naturally agreed, but McGuinness placed a stipulation on his concurrence – that he be allowed to travel with his adversary. One might wonder why someone would willingly want to accompany his mortal foe. But there was a certain logic to this request: If opposing forces seeking to make peace traveled together, there was less of a chance of an assassination attempt on either of them. And, given that McGuinness was motivated to achieve peace, he was willing to join his enemy if this would help increase the chances of that result. It’s against this factual backdrop that the story of “The Journey” is set up. What follows, however, is an exercise in historic speculation. Longtime adversaries Ian Paisley (Timothy Spall, right) and Martin McGuinness (Colm Meaney, left) find themselves in uncomfortably close quarters during an unexpected road trip in the new speculative historical drama, “The Journey.” Photo by Aidan Monaghan, courtesy of IFC Films. To get from St. Andrews to Edinburgh, Paisley and McGuinness are chauffeured in a government minivan, forcing the longtime adversaries together for the first time – and into uncomfortably close quarters at that. So, under circumstances like that, what might the antagonists talk about during the course of their journey – if at all? That’s what the film seeks to explore. Seeing this as an opportunity to assess what’s on the minds of the opponents, British Intelligence official Harry Patterson (John Hurt) assigns one of his operatives, Jack (Freddie Highmore), to drive his subjects to the Edinburgh airport. 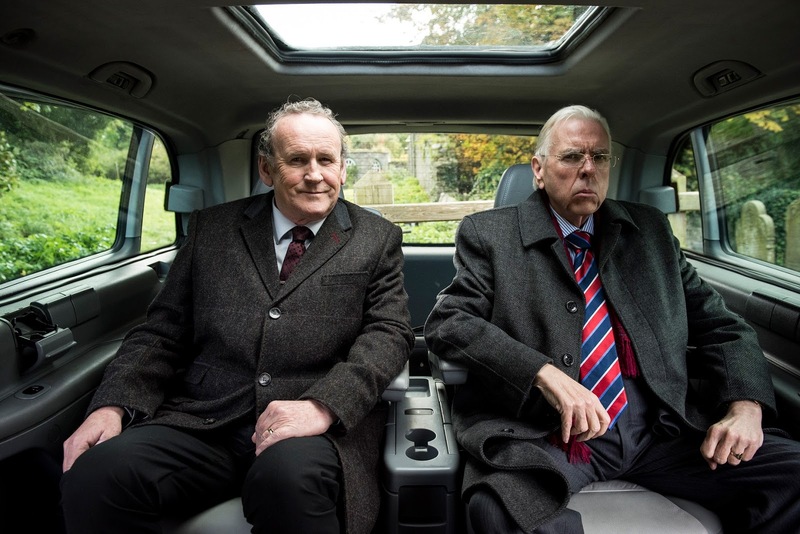 The vehicle is clandestinely fitted with audio and video equipment to capture the conversation between Paisley and McGuinness, and Jack is charged with finding ways to instigate a dialogue between his passengers. What follows is perhaps one of the most unusual road trip stories ever committed to film. The conversation is slow to start and challenging to sustain, but, thanks to Jack’s inventive tactics to get Ian and Martin talking and a series of happy accidents that prolong the trip (and the dialogue), a number of intriguing revelations emerge. These disclosures present significant insights into the mindsets of the two leaders, offering clues as to how their summit will proceed – and what it will take to get results at the negotiating table. Given the history of The Troubles, it’s almost miraculous that the 2006 peace talks came into being. Each side was so entrenched in its views that it was almost inconceivable that they could ever come together in agreement. But, thanks to the possibilities afforded by conscious creation – the philosophy that maintains we manifest the reality we experience through the power of our thoughts, beliefs and intents – the futility that so many contended was immovable slowly melted away. The key to this was the beliefs held by those seeking to make peace. Outwardly they may have appeared intransigent, but the fact that they agreed to hold the talks and willingly showed up for them revealed their desire to change the status quo. Their actions were a reflection of their true intents – that of ending the strife and ushering in a new era for the war-torn country. In fact, one might easily argue that getting to this point was more than half the battle; all that remained now was figuring out a way to make it work. That’s where conscious creation again comes into play. To achieve a lasting peace, the negotiators needed to formulate beliefs that would make it possible. Admittedly, this was not an easy feat given their personal and national histories. But, since conscious creation makes all options possible, a solution was indeed feasible; it just meant coming up with the right combination of beliefs to bring it into fruition. Formulating those beliefs required Paisley and McGuinness to go through a process of analysis: Why did each of them believe as they did for so long? What were the points of contention (and the beliefs that supported them) that kept them apart? What impact did their personal experiences have on getting to this point? Likewise, what influence did their constituencies’ experiences have on the process? And, perhaps most importantly, knowing all that, what would it take to get beyond those hindrances to move forward? 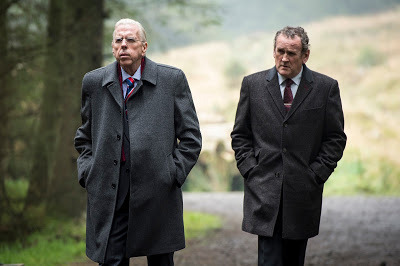 Foes in the Northern Ireland conflict, Ian Paisley (Timothy Spall, left) and Martin McGuinness (Colm Meaney, right), engage in a series of profound and heated dialogues in anticipation of peace talks in director Nick Hamm’s speculative historical drama, “The Journey.” Photo by Aidan Monaghan, courtesy of IFC Films. Answering those preliminary questions may not have been easy, since it called for resurrecting some long-simmering painful memories. But doing so was nevertheless entirely achievable. The more difficult task was coming up with an answer to that final question, because it challenged the conditions of the prevailing paradigm and would mean moving into uncharted territory. 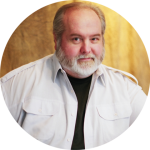 That can be tricky for even the most proficient conscious creators, since it means coming up with something workable that neither exists nor has ever been tried before. This is where the importance of honing one’s envisioning skills comes into play. Successfully picturing an equitable solution involves knocking down all the obstacles and limitations that have kept the desired outcome from materializing previously. This, in turn, may call for making significant changes to, perhaps even sacrifices of, long-held and likely cherished notions, replacing outmoded beliefs with viable new ones aimed at bringing about the sought-after results. And, knowing how stubbornly beliefs can persist, this may require considerable metaphysical wherewithal, ample personal fortitude and an abundance of sincere goodwill, qualities that could be difficult to tap into for longstanding enemies. But, once the possibility is imagined, examined and embraced, real magic can begin to happen, and that’s what Paisley and McGuinness start to see for themselves through their series of dialogues. Adopting such an outlook is crucial not only in our personal affairs, but also in our collective dealings. That undoubtedly weighed heavily on the minds of Paisley and McGuinness, since the peace process called upon both of them to work through their own views while acting as spokespersons for their constituencies. What would have happened, for example, if they had allowed personal grudges or prejudices to unduly cloud their thinking, inhibiting their envisioning and belief formation processes? Had this occurred, they could have held themselves back and potentially jeopardized the fate of their country. This draws attention to the considerable responsibility involved in conscious creation. To attain the results we need for both ourselves and our peers, we must consider our beliefs carefully in light of the potential consequences involved. Thankfully, Paisley and McGuinness came to understand the wisdom in this, largely by talking out their issues and seeing how they and their beliefs had to evolve if they were ever to achieve the outcome that brought them together in the first place. 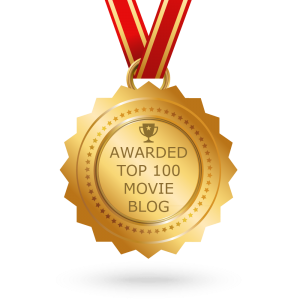 Though admittedly fictional, this film’s narrative hypothetically explores what it means to resolve conflict and what it takes to reach consensus, using the particulars of an actual conflict as the basis for discussing how these theoretical notions can be put into place. (Think of it as a modern-day equivalent of one of Plato’s dialogues, and you get the idea.) Strict historians might take issue with an approach like this. But, if we’re willing to suspend the need for authenticity, we have an opportunity to consider these questions from a “what if” perspective, something that we might be able to use in our own conflict resolution efforts. Granted, our personal disputes may not carry consequences as significant as the fate of a nation, but the underlying principles we can draw upon for working through them might easily be similar in nature – and just as applicable for reaching settlement. 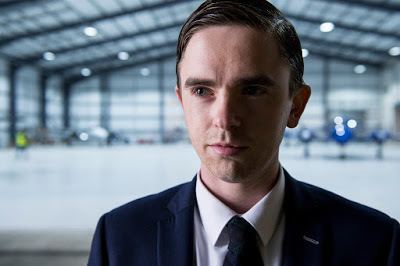 Undercover government operative-turned-chauffeur Jack (Freddie Highmore) is charged with stirring up conversation between his two high-profile passengers in the new speculative historical drama, “The Journey.” Photo by Aidan Monaghan, courtesy of IFC Films. What “The Journey” lacks in fidelity to fact is more than made up for by its thoughtful debates of conflict resolution issues, using the Northern Ireland peace process as a template for examining these issues.  It answers such questions as why the dispute took so long to address and the remarkable steps required to bring about a workable solution. If we resist the temptation to take its narrative literally, we stand to learn a lot that has applications that extend well beyond the geopolitical community. Add to that the sizzling, award-worthy performances of Spall and Meaney, and you’ve got a riveting series of dialogues that, in lesser hands, might easily have come off as a dry, plodding history lesson. While I usually have issues with films that take such blatant dramatic license, and even though the writing occasionally goes wildly off the rails, this imaginative take on this subject matter satisfies immensely without ever becoming tedious or pretentious. There’s more here than many of the dismissive accounts contend, and, in my view, this is material well worth watching – and perhaps applying when circumstances warrant.